Louis Garneau Sports is pleased to announce the appointment of Martin Trudel as Executive Leader of Global Sales & Marketing. 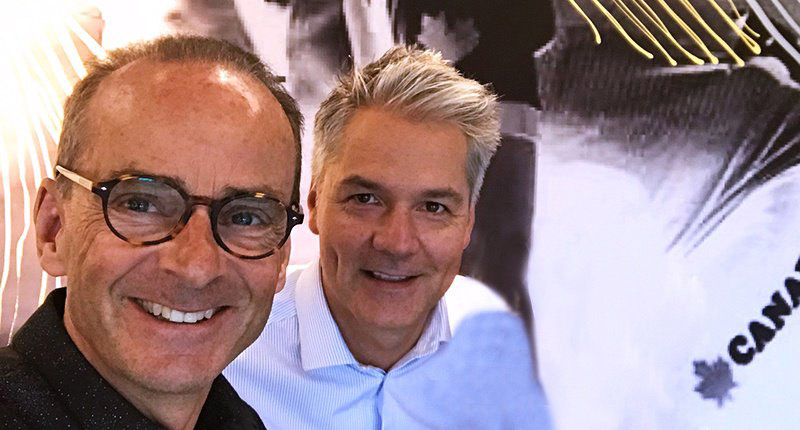 Martin will be responsible for strategic leadership of the Garneau, Sugoi and Sombrio sales and marketing teams, overseeing new business development and opportunities, and creating tailored solutions for customer needs globally. Martin is a well-known figure in the sporting goods industry with over 20 years of experience as a sales and marketing leader. He began his career at Salomon in Canada and later took on North American responsibilities with UTC Sports. He then was appointed as Vice-President at Coalision where he was instrumental in growing the Orage brand internationally. More recently, he was responsible for the ascent of Lolë where he oversaw sales, B2B marketing and business development. In addition, Martin has a proven record of facilitating long term business relationships with customers and has superior insight on market development. His strong team building abilities and strategic leadership skill set will complement and enhance Garneau's ability to meet the needs of customers as we continue to thrive and provide innovative products to the cycling world.